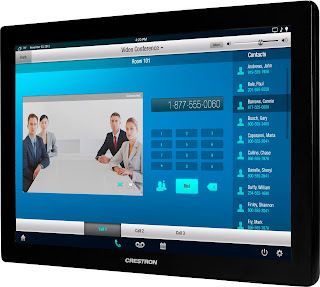 Making Video Conference call with Crestron Touch Panel. 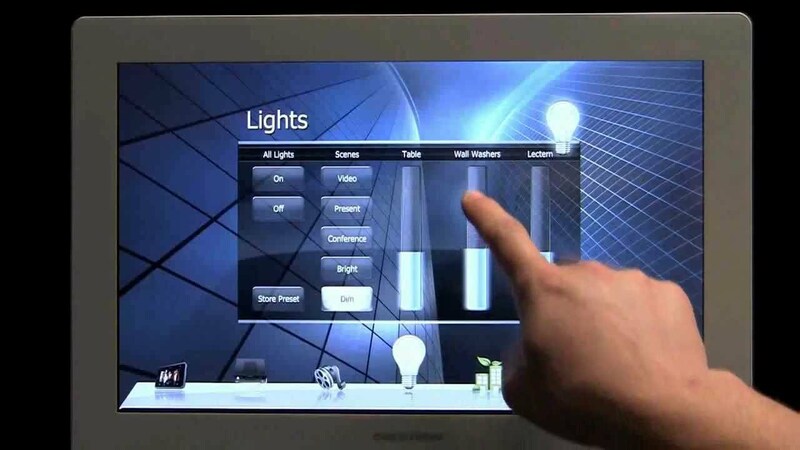 Control any DVD player, projector, VCR, document camera and more from an intuitive touchpanel. The correct equipment is turned on, the right settings are selected and the media is displayed automatically with the touch of a button. 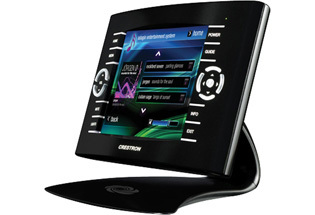 Crestron presentation and collaboration tools make multi-media presentations and remote meetings simple and professional. Camera control and video preview windows are built into our touchpanels for teleconferencing; an electronic whiteboard inside the touchpanel is capable of live annotation over any computer or video source which can be displayed on a plasma or projector; and able to display multiple, scalable video windows on a single plasma or projector. With the world’s leading advanced control systems as foundation, Crestron addresses the needs of facility managers and IT directors seeking to monitor and manage a variety of technologies over a single network. Whether it’s a single room or the entire building, across a campus or a global network, Crestron solutions centralize control of audio and video devices, security cameras, lighting and HVAC. Can’t see the presentation because there’s a glare from the window? No need to interrupt your presentation to find the wall switch to lower the shade, with Crestron, all drapes, shades and projector screens are controlled automatically from the touchpanel. Set dynamic lighting scenes room by room, zone by zone or throughout a facility. One simple button touch can accent architectural features, create helpful task lighting, enhance videoconferencing and more. 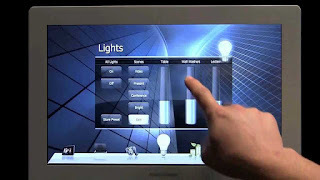 Crestron brings the most comprehensive line of user-interfaces to commercial lighting and dimming control, plus the ability to remotely monitor, manage and control buildings over standard IP networks. Temperature settings can be automatically adjusted based on time of day or room usage. The room gets a little warm after the projector runs for a while or the room gets full, change the settings right from the touch panel. ATEK Technology Sdn Bhd is proud to be Certified Crestron Integrated Partner in Malaysia, we specialize in all Conference equipment setup, smart control system configuration and setup, for conference room, offices, as well as residential. Contact us today for more information on smart control system, conference equipment, and overall settings, custom furnishing and system cabling as well as conference room fixtures and fittings. Call us at: +603-7725 3178 or mail us: sales@atektech.com.my or log on to: www.atektech.com.my for more details! !